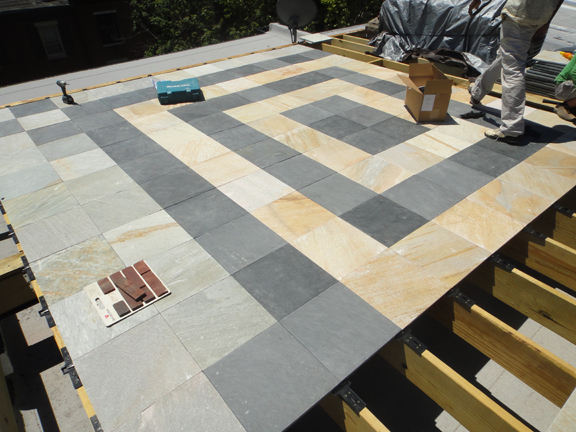 StoneDeck is extremely popular on rooftops of homes and commercial buildings. 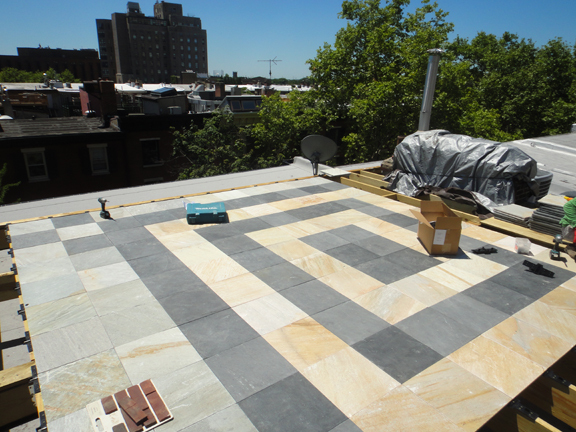 It can turn an unsightly rooftop into a beautiful living space. 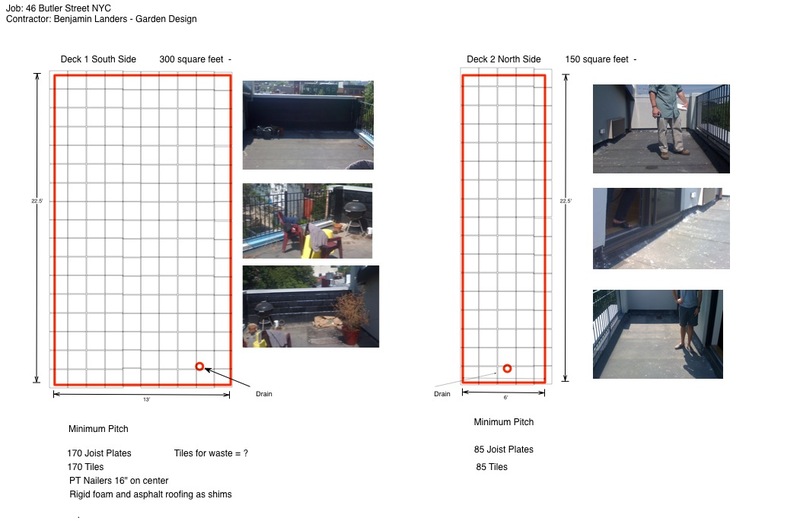 Contact us about our 2'x2' (4 s.f.) 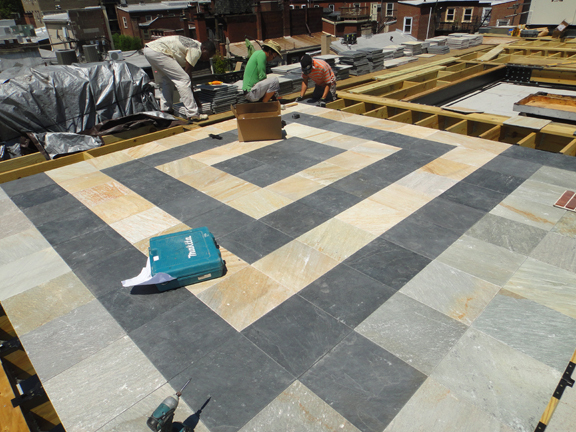 porcelain rooftop deck tiles! 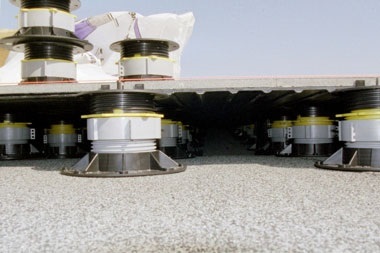 Specifications coming soon! 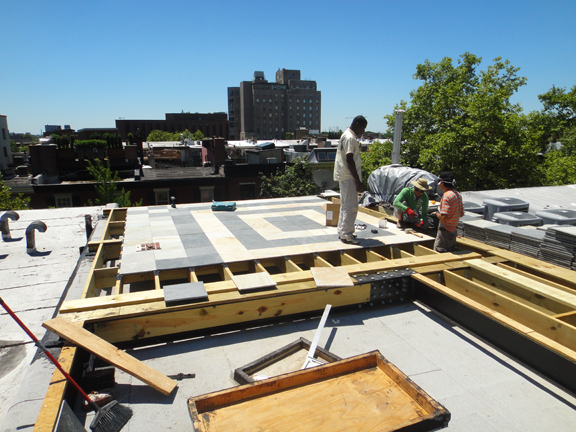 StoneDeck rooftop installation is made possible using adjustable deck supports although framed joists on rooftops can also be used if desired. 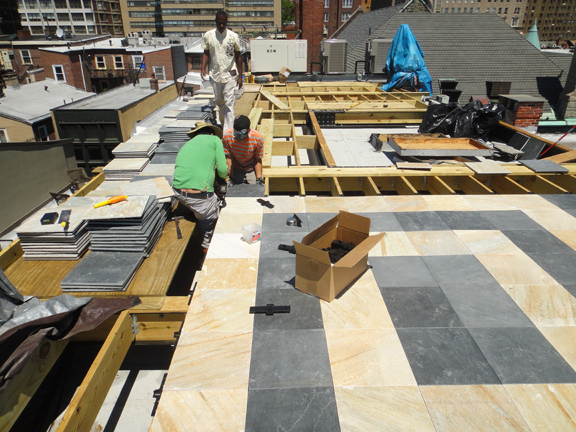 For examples of what an actual StoneDeck rooftop installation looks like check out our images below. 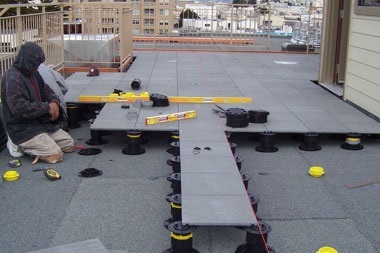 For more information on how to install StoneDeck on rooftops please read the StoneDeck rooftop installation documents below or view the video to watch how it's done.